It's Friday and once Henry is out of school for the day our spring break will officially begin. Oh man...I NEED this break...the kids NEED this break. I seriously can't wait! Being that it's Friday also means that I get to share with you my Friday Favorites. 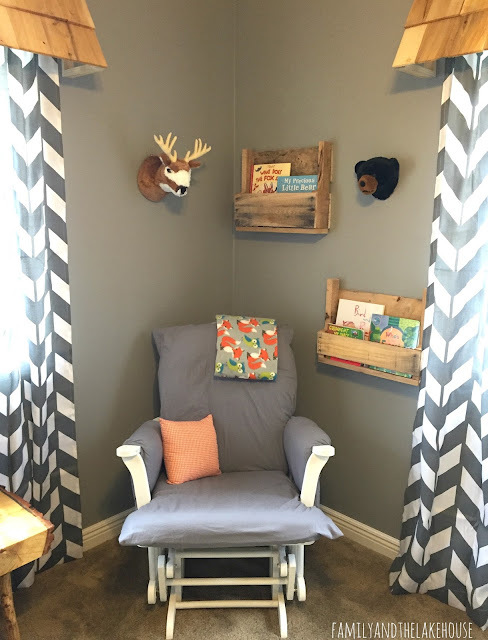 My friend Katy and I worked on and completed our friend, Ashley's Rustic Woodland Themed Nursery. 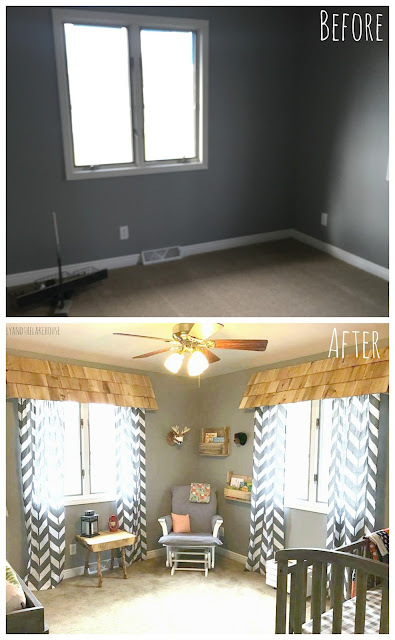 We looooved how it turned out, especially considering the makeover didn't break the bank. I'd love to have you link on over and read all about it! 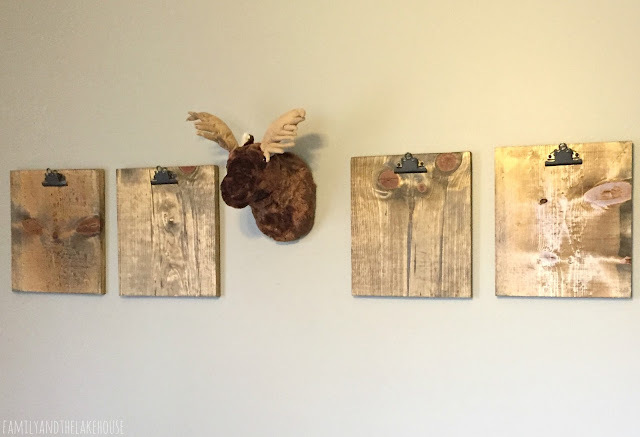 A few days ago I also shared how to make these do-it-yourself clipboards as an alternative to picture frames. Check them out! This dress I found on Amazon. Eliza has been living in this dress. Yesterday she spilled chocolate milk on it so I threw it in the washing machine. As soon as it was out of the dryer she was wearing it again in no time! It wears well, it washes well and it's soooo cozy! It also comes in gray and there's no doubt in my mind that I'll be purchasing that one, as well. 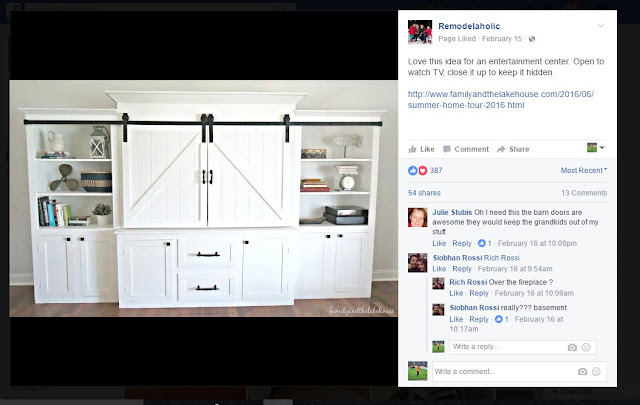 My barn door entertainment center was featured on Remodelaholic's Facebook page. In fact, a friend of mine sent me the link and asked if it was mine. It was posted back in February and I've gotta tell ya', I'm still in shock! Shock, I tell ya', SHOCK! As of this very moment we don't really have any plans. I'm thiiiiiinking about visiting some antique shops nearby and then going out to dinner. I'm honestly just too tired and lazy to do anything else! LOL! I'll stop there for today! It's almost time for me to go pick up Henry from school. EEK! Spring break, here we come! I'm linking up with April, Natasha, and Christina for the Five on Friday link-up Paaaaarty! 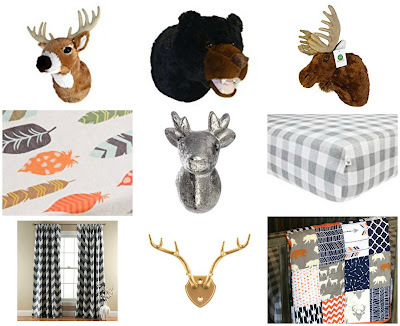 I'm linking up with A Little Bit of Everything, Momfessionals, and Grace and Love for my Friday Favorites! I'm linking up with September Farm and The Farmer's Wife for the Oh Hey Friday linky party! As we all know, picture frames can sometimes be crazy expensive. So when my friend Katy and I began talking about wall decor ideas for our friend Ashley's budget-friendly woodland themed nursery, we just knew traditional picture frames wouldn't make the cut. Katy and I racked our brains to come up with an alternative solution for displaying artwork in said nursery. Enter: A super duper easy and budget-friendly DIY clipboard! Trial and error, people. Trial.and.error. 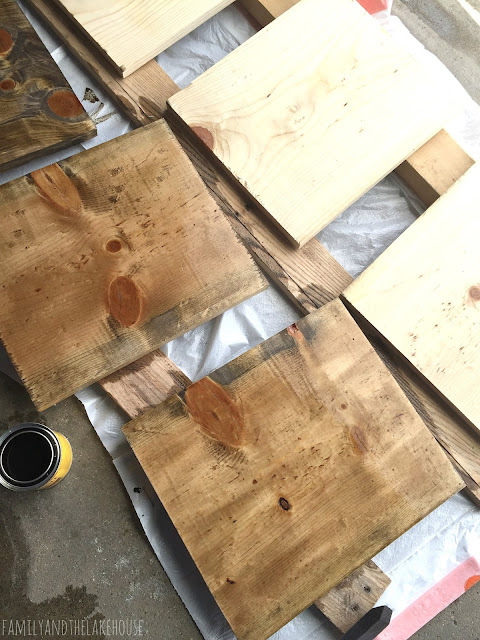 Anyhoo, I also ended up purchasing some Minwax (walnut) Stain and used foam brushes to apply the stain to the boards. Ugh, and let me tell you - I kept waiting for this Michigan weather to warm up past the thirty degree mark, alas, it never did. 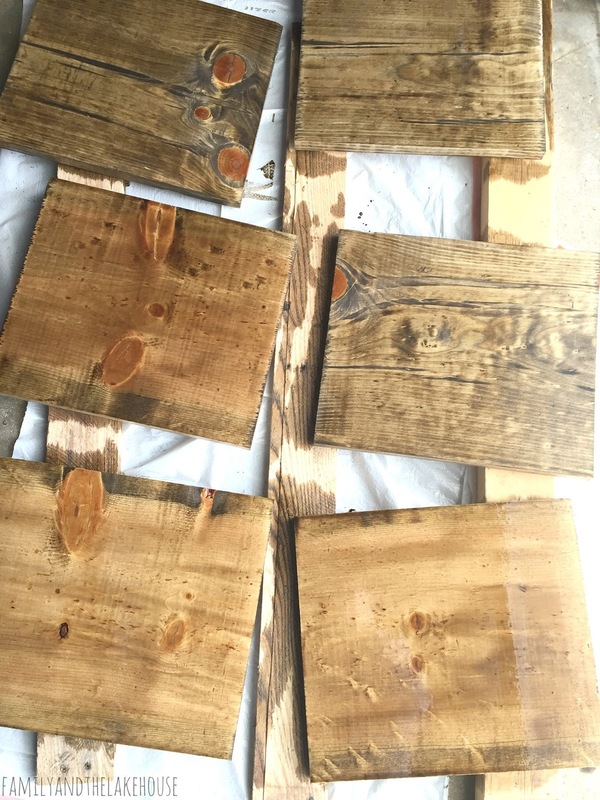 I ended up staining the boards in twenty degree weather...with a bit of wind and flurries here and there. It was not the best staining weather, to say the least, and I was scared the boards wouldn't look right or that they wouldn't dry all the way. Fortunately, after setting them out in the sun for a few hours, then moving them inside the garage for a couple of days, they eventually dried completely and turned out just as I had hoped. I just looooved how every board ended up looking completely different from one another. Oh wood grain and stain, I heart you. 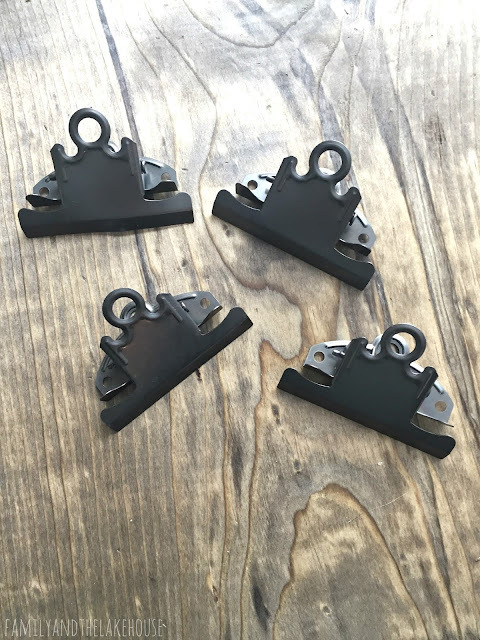 These clips you see below are from Hobby Lobby. It took me quite some time to find exactly what I was looking for, just ask my friend, Sara. She was my shopping buddy the day of the "clipboard clip shopping mission." These bad boys were ultimately found over in one of the scrapbook sections. I forgot to pick up matching screws, but lucky for me that hunk-of-a-husband-of-mine needed to make a trip to Home Depot for something else, so he picked up some screws for me, as well. The day of the nursery makeover, my friend Jake attached teeth to the back of the boards (which I tooooootally should have done - oops!) and viola! Easy, simple and affordable DIY clipboards! I had purchased the wall art here and I printed every photo off onto white card stock. 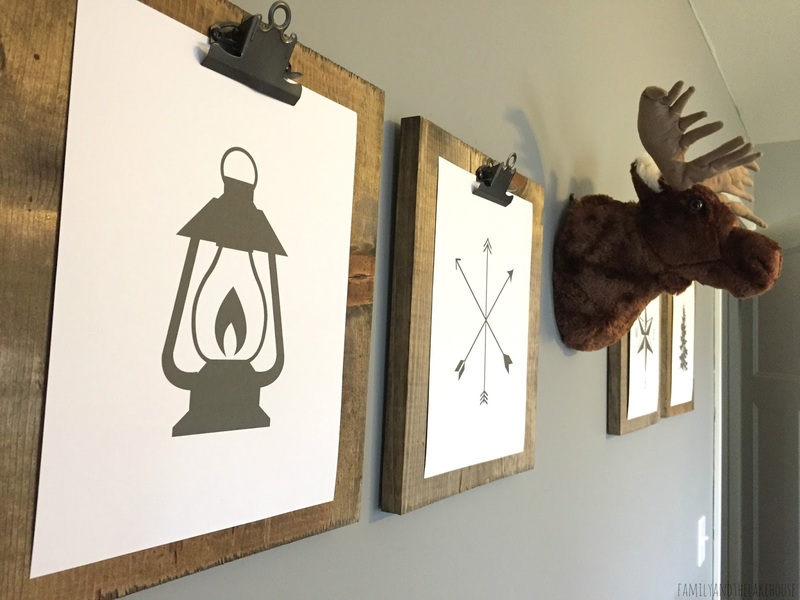 Within seconds of hanging up each sheet we had ourselves a beautiful rustic artwork display! You guys, this project was sooooo easy and affordable to make, and not to mention fast...well other than the drying time for the stain! Ha! Silly me for staining in the middle of a Michigan winter. This project could be so cool on a much larger scale, too! I may have to attempt it. 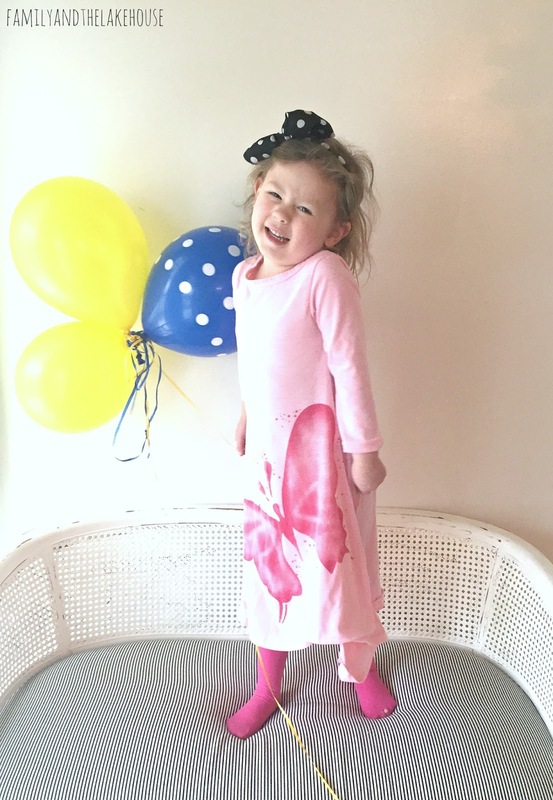 I'm linking up over at the Totally Terrific Tuesday - I'm a little late to the par-tay! As mentioned in my last post, we had a blast and I learned soooo, soooooooo much from my friends Katy and Jake! Oh my word, they're incredibly talented. I swear the projects they were whipping up would have taken Jon and myself at least six months to complete. It was awesome to watch! Okay, so...are you ready? Let's goooooo!!!!! Those closet doors though. Love, love, love them! 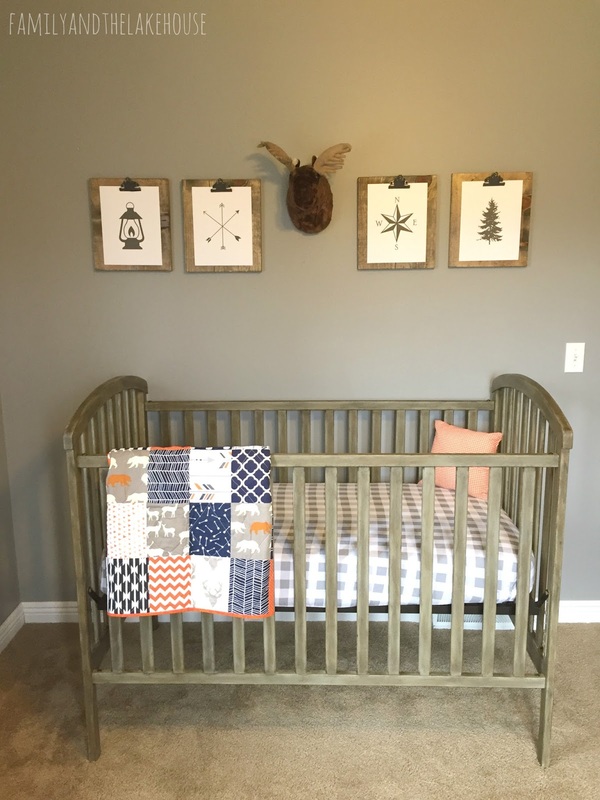 Okay, so - check out this crib that Katy painted with some Annie Sloan Chalk Paint! I'll have to show you the before pictures of this piece. The before wasn't bad...not bad at all, but the way Katy managed to blend the wax and paint together to give it a rustic look is unreal and it turned out to be stunning! 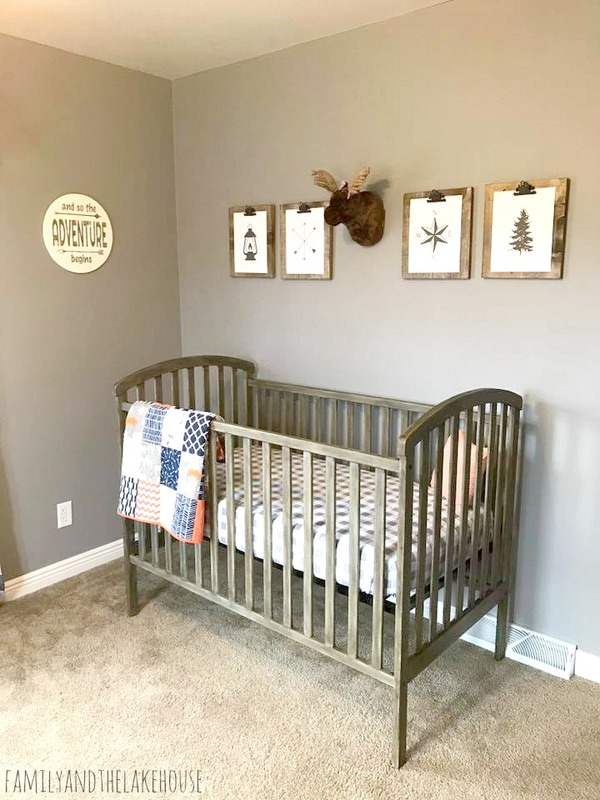 When she had finished painting the crib she had sent over a picture of the finished product, but I thought she was actually just sending me an idea/inspiration from Pinterest or something. Nope. It was HER finished masterpiece! I was speechless! See that round sign over there? That one I made. Unfortunately, while I was working on it some white paint hadn't dried all the way and once the stencil was removed a bunch of paint had bled through. I ended up touching it up with a bit-o-paint here and there. I was still a little unsatisfied with the finished product, so I ultimately decided to distress it. It ended up turning out to be super cute after distressing it a bit and the imperfections suddenly didn't look so bad...actually, all the imperfections made it look that much better! Isn't it funny how stuff works out like that sometimes? Katy and I knew we wanted to print off this art (below) that we had found from this Etsy shop. However, we were following a strict budget and knew that purchasing traditional picture frames would take up a majority of the cash we had on hand. Katy, being the ultimate crafter, came up with this idea of using clipboards to display the photos. I got to work on this project right away and I can't wait to share with you how easy and affordable these were to make! Oh my gosh, this dresser! Katy also painted this dresser. 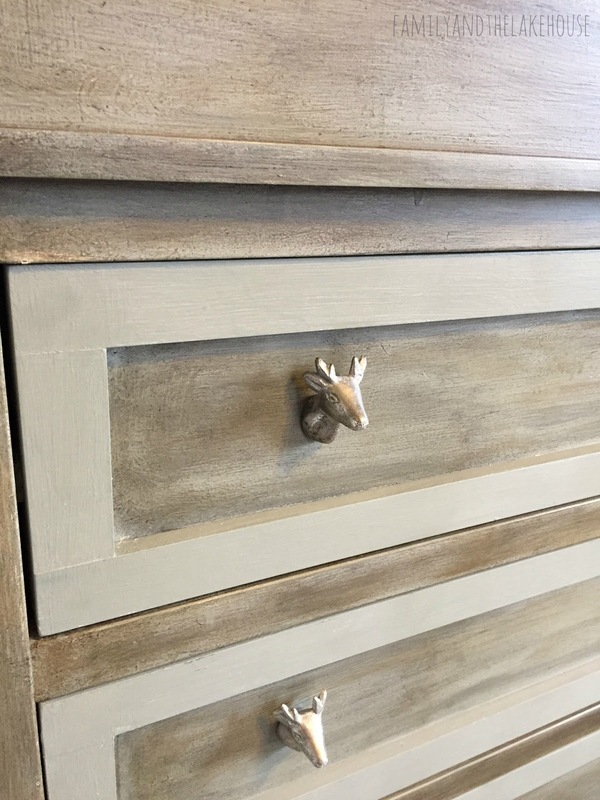 She knew she wanted to add the deer knobs to the front drawers and I just think it's the cutest.thing.ever. The first time I saw this finished dresser/changing table I'm pretty sure I peed my pants...yeah...you read right...I said it...I was THAT excited! Oh and see those pictures up above the changing table? Katy made those at our little sprinkle we held for our friend Ashley last month. It was a surprise sprinkle with a bit of pallet/wood/board painting on the side. Katy and Jake also made these shake awnings. You guys, the two of them made these awnings like it wasn't even a big deal...like it was nothing. The moment I spotted them I pretty much reacted like an Oprah Winfrey audience member who had just won a car. Ha! Obviously they didn't give the awnings to me, but I was still extremely excited for Ashley, who now gets to walk by these sweet shake awnings every.single.day. Oh, oh, oh - Here's something I did. I bought that baby sweater. 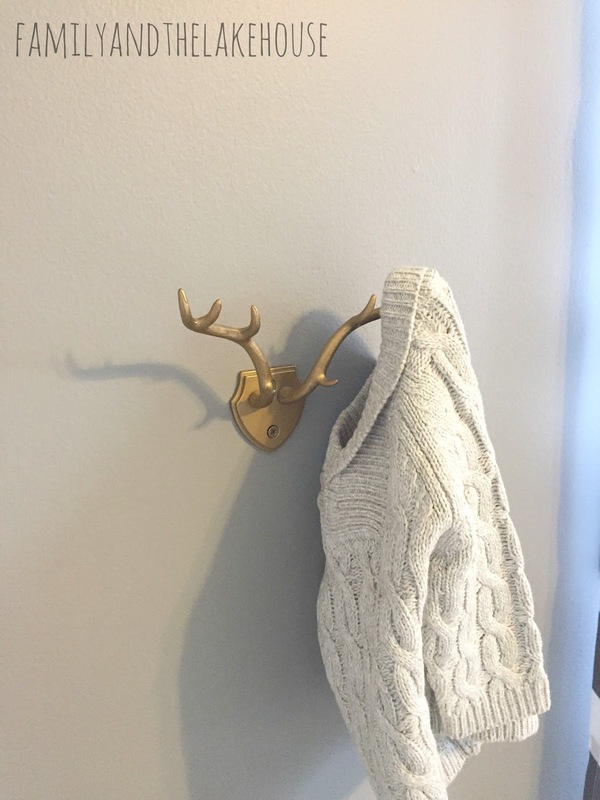 It has elbow pads and it's ridiculously adorable, much like that gold antler hook. See? I do things, too...like...shop for baby sweaters... Hahaha! Okay, no seriously...I actually did do a bit more than shop and make clipboards - I gave Ashley's rocker a makeover and painted it white! I tried soooo stinkin' hard to make this look decent. 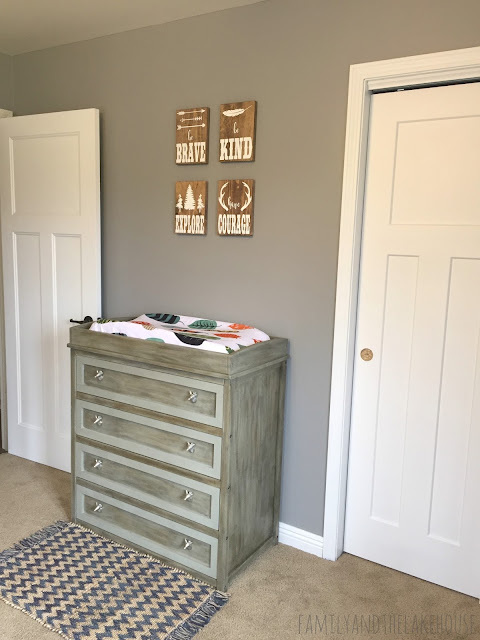 I purposefully chose Annie Sloan Chalk Paint for this rocker and I learned a lot while working on this project. I'll be blogging more about it next week! 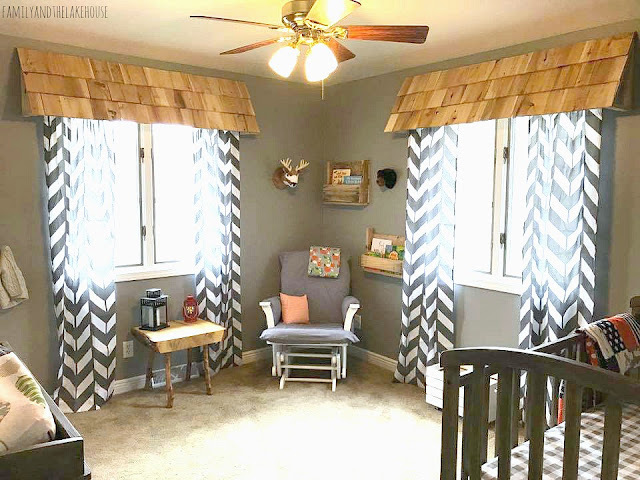 After six hours on Sunday we had taken this room from being an empty space without a place to rock a newborn, to a rustic nursery ready for a baby and his Mama to enjoy lots of snuggles, cuddles and giggles! What a difference a bit of decor can make, eh? Thanks for stopping by and checking out this Rustic Woodland Nursery Makeover! It was soooo much fun! I have a few tutorials coming your way, so stay tuned for those coming next week. 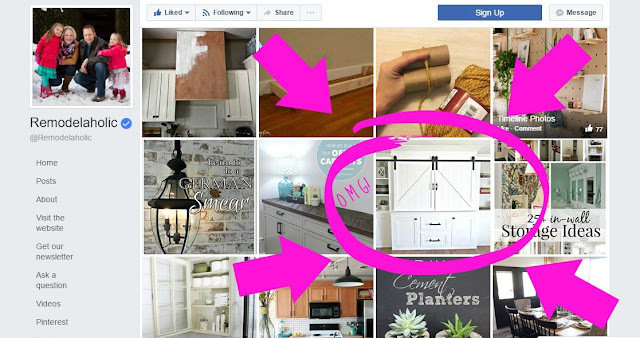 Also, I've been asked about my board and batten project in our master bedroom. I need to order a couple of pillows and I'll be sharing that space ASAP! WooHoo! Whew! You guys, I feel like I've been going non-stop over here. It's been crazy lately, but a good kind of crazy. Oh my gosh and let's not forget that spring has officially arrived and that I also spotted a bunch of robins whooping it up out at the bird feeder today - so YAY for that! Spring is by far my favorite season! Ahhh! I'm soooo ready for warmer temps...and leaves...and flowers...and green grass...and to actually go outside... Bring it on, spring! After school on Monday we came home and worked on a St. Patrick's Day craft since I've been majorly slacking in the craft department these last couple of months. I'll go ahead and blame it on the weather. On Tuesday and Wednesday, I started painting a chair (this is just one coat) for the nursery makeover for my friend Ashley. On Thursday Sara and I (and our little ladies) ventured out of town for a few hours while our boys were in school. Oh man, it felt great to get out of the house and step into a Panera, Hobby Lobby and Target! Oh my gosh, we had so much fun! On Friday we sported our green and celebrated St. Patrick's Day! My Great Grandmother's maiden name was Smiley... It doesn't get more Irish than that! I didn't really have much planned for St. Patrick's Day so at the eleventh hour the kids and I whipped up this leprechaun trap! As you can see, our leprechaun got away but he managed to leave a note for the kids along with a trail of Lucky Charms...that messy leprechaun forced me to sweep silly leprechaun! On Saturday we attended a birthday party at our local bowling alley for some twins from Eliza's preschool. 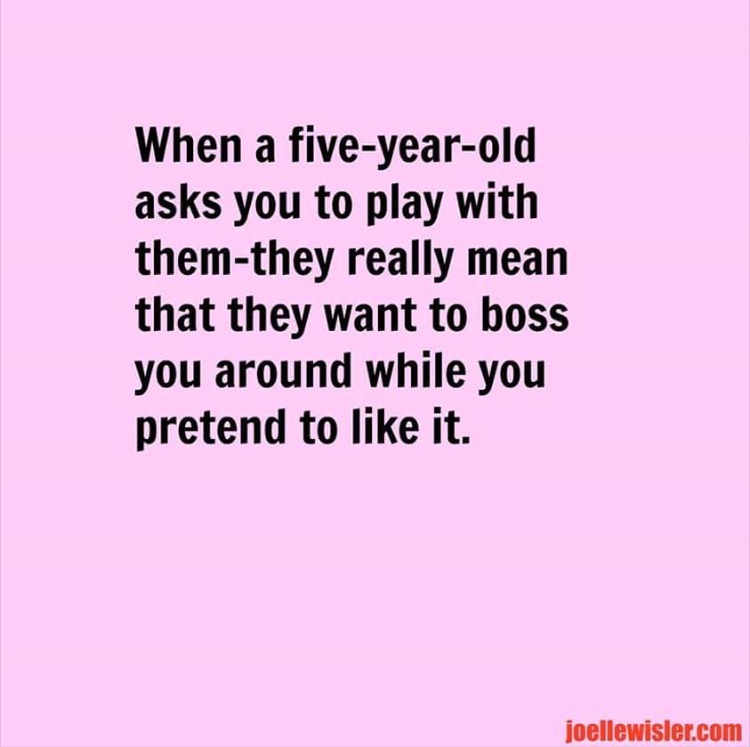 The kids looooved it. Everyone was so nice and welcoming. We had a fantastic time! Later that evening, Henry and I got all dressed up to go to our first Mommy/Son Dance!!! Henry danced all night...well...for an entire hour anyway. LOL! Let me tell you, boyfriend has got some moves! Oh man, he was so excited to start dancing! At one point he even proposed to me. This boy, I tell ya'. Love him. I said, "yes," of course! 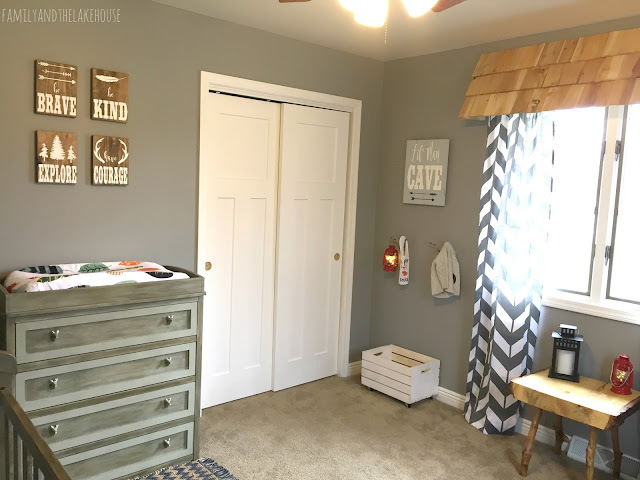 On Sunday I headed over to my friend Ashley's house and met up with my friend Katy and her husband, Jake to get started on the nursery makeover. This is all I'll show for now, but I promise a full reveal sometime this week. Also, I need to tell you that Katy and Jake did the majority of the work. You guys, this couple is crazy talented and I learned sooooo much from the both of them! They need their own tv show or something. This pic below provides proof that I was actually there and that I contributed a little bit...and by a little bit I mean...I was there...mostly to eat snacks...and hold things in place...and occasionally hammer a few things in place...and take a nap... Ha! No, I wasn't really napping. Or was I? Stay tuned. Dun Dun Duuuuun! 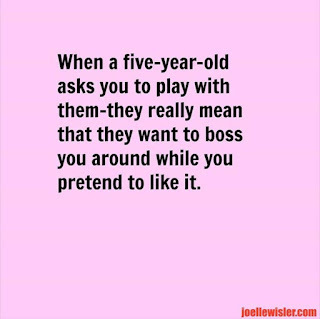 ...she's three, but I can relate. That's it for now, but, like I said up there ^^^, I'll be back sometime this week with that nursery reveal! I promise. It's too good not to share! EEK! 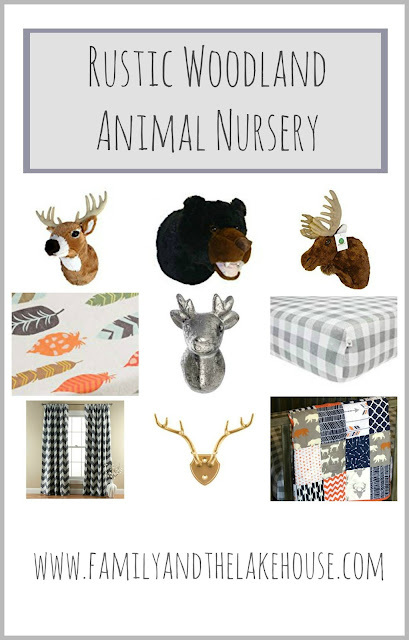 Linking up over at the Tuesday Talk!